We are excited to be part of the Triangle Wine Experience! Join us on February 1, 2018, at 7 p.m. for a special wine dinner benefitting the Frankie Lemmon School and Developmental Center. 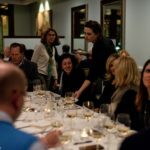 We will be hosting Pax and Pamela Mahle of Pax Mahle Wines, Agharta Wines, and Windgap Wines, and would like to thank our sponsors, Doyle Parrish, Dr. Steve & Sue Bolick, and Summit Hospitality, for helping us make this wine dinner a reality. Tickets are on sale now for $165 per person. Get yours before this exclusive dinner sells out! 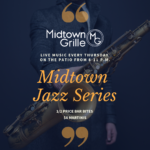 We hope to see you on Thursday, February 1, 2018 for this exclusive wine dinner! 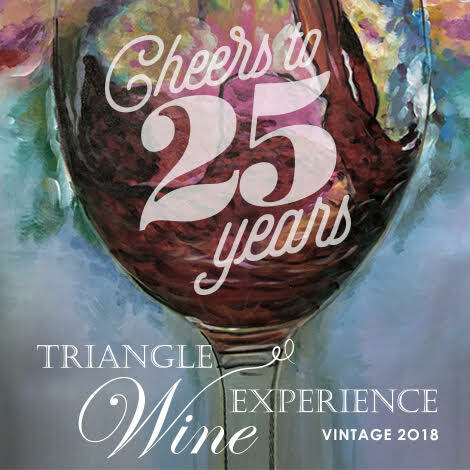 In the meantime, here’s a little background information about the wines we will be serving, as well as information on the Triangle Wine Experience and the Frankie Lemmon School and Developmental Center. The Triangle Wine Experience is the Triangle and Carolina’s premier wine event taking place February 1-3, 2018. The three days include tastings, dinners, and a Grand Gala with a Fine Wine Auction. Winemakers and wineries from all over the world participate in this truly amazing event. All proceeds from the Triangle Wine Experience benefit the Frankie Lemmon Foundation. The Frankie Lemmon Foundation is a non-profit organization dedicated to the education and support of children with special needs. For more information on the Frankie Lemmon Foundation visit FrankieLemmonSchool.org. After Pax wine cellars were dissolved in 2008, the Pax brand was put on hold, leaving the Mahles to focus on their up and coming brand, Wind Gap Wines. In 2014, Pax and Pam re-launched with the original all-star lineup of Syrah that hailed from Alder Springs, Castelli-Knight Ranch and Griffin’s Lair. You will not want to miss out on Pax’s stellar wines which are a result of organic farming practices, vine-by-vine farming and a less is more approach to irrigation. Wind Gap Wines is the newest project of Pamela and Pax Mahle. Wind Gap Wines was founded in 2006 and champions cool climate sourcing of Syrah, Pinot Noir, Chardonnay, and a few other varieties. For more information on the wines or to purchase tickets visit TriangleWineExperience.com.